For years, the VA has been hiding statistics on the quality of care at its nursing homes because it didn’t want the public to know how bad it was. Recently, pressed by the Boston Globe and US Today the VA finally made its data public and it is scary. 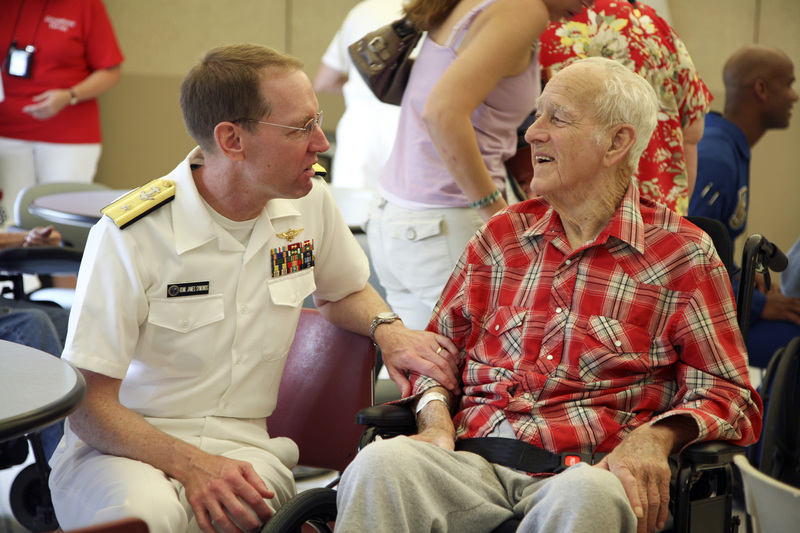 Among the 133 VA nursing homes located all over the US, 60 (almost half of them) received one star out of five for their quality of care. Pennsylvania has five of these facilities. Texas and California both have four of them. Only two facilities received five stars: Castle Point, NY and Carrollton, GA.
Elder abuse or elder mistreatment happens anytime a caregiver or a supposedly trusted person (in a nursing home or at home) intentionally causes physical, emotional or financial arm to a vulnerable elder. It is very difficult to determine the extent of this problem as often elders will not or are unable to complain. However as the elder population is growing so does the number of instances of abuse. A few years ago The “New York State Elder Abuse Prevalence Study” established that for one case of abuse known to agencies 24 were unknown. 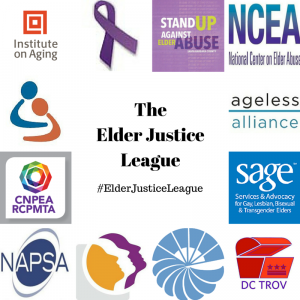 In order to better fight this growing issue, elder justice advocates representing 11 organizations have joined forces together and created the “The Elder Justice League”. Supported by the National Center on Elder Abuse, “The Elder Justice League” wants to raise awareness of elder abuse through social media. The NYC Elder Abuse Center is part of this league and you can learn more about it on their website. Many nursing homes have attractive lobbies and enticing amenities but neglect to provide medical care to their patients. Geriatric researchers call this disconnect “the chandelier effect”. Because short term medicare patients are much more lucrative than long term medicaid patients, nursing home are investing in luxurious facilities but most often neglect medical care. Very often these luxurious facilities are understaffed in nurses and aids and do not have doctors on staff that can provide the intensive care that rehabilitation requires. In an excellent article Katie Thomas from the New York Times describes how some patients who were promised amazing care ended back in the hospital with infections and bedsores. Katie Thomas also denounced how this race for profitability is marginalizing long term medicaid patients with extensive medical needs. 10 employees of a New York nursing home neglected and mistreated a resident who was completely dependent on the nursing home staff for his care. The patient was a double amputee who also suffered from partial upper body paralysis. An investigation by New York Attorney General Eric Schneiderman revealed a disturbing pattern of pervasive neglect at Blossom North Nursing and Rehabilitation Center in Rochester, NY. According to the footage from a hidden video camera, “nurses allegedly failed to dispense prescription medications, measure blood sugar and blood pressure levels or properly care for the resident’s catheter. Aides allegedly neglected the resident’s incontinence care and his prescribed range of motion exercises and several are alleged to have transferred him in a potentially unsafe manner. In some instances, the resident had no hands-on care during the aides’ entire shifts and was left to lay immobile in his bed for hours at a time. The nurses and aides then allegedly falsified documents in an effort to conceal their neglect”. The employees have been charged with falsifying documents, willful violation of the public health law and for some of them endangering the welfare of a physically disabled person. They may be sentence to up to 4 years in jail. 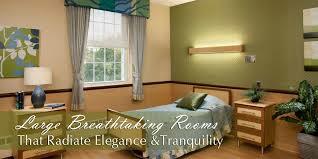 Blossom North Nursing and Rehabilitation Center has a below average rating of 2 stars by Medicare. An inspection report from last fall shows that the nursing home had mistreatment deficiencies, quality care deficiencies, resident assessment deficiencies, resident rights deficiencies, pharmacy service deficiencies, environmental deficiencies and fire safety deficiencies. Previous complaints also show a history of abuse, neglect and mistreatment. Not surprisingly under staffing is also a major issue at this New York nursing home where a registered nurse spends in average 19 minutes a day per patient compared to a New York State average of 48 minutes.